Follow the links below. 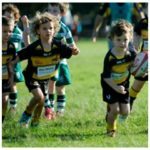 In 2019 Rugby Australia is introducing the Rugby Xplorer platform. All users will need to create an account. A step by step guide for sign up and sign on can be downloaded here. Once you have created your account search for Taylor Bridge UQ Juniors. 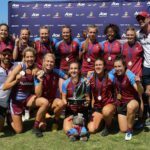 GIRLS RUGBY 7s (tackle) – $200 term 2 BJRU Competition. U13 U15 U17 teams All welcome especially those new to rugby. Training Friday nights, 6pm from April 26. Graceville Memorial Park. Games played Sunday mornings, various locations around Brisbane – 9 week season. Click here to register online. NOTE: when registering please select ROLE: Player -> REGISTRATION TYPE: 7s Junior Girls -> DURATION: Season. 9 Week Program at Graceville Memorial Park from 26th April – Focus on FUN! Download the Puppies information pack here. Click here to register. NOTE: when registering please select ROLE: Modified Rugby Participant -> REGISTRATION TYPE: Little Rugby -> DURATION: Season. 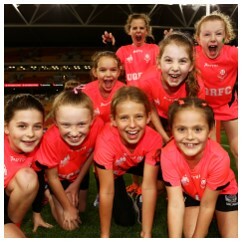 GIRLS ONLY – TOUCH 7s $100 inclusive of RA mandatory equipment levy. 9 Week Program at Graceville Memorial Park from 26th April – Focus on FUN! Download the Girls Touch 7s information pack here. Click here to register online. NOTE: when registering please select ROLE: Player -> REGISTRATION TYPE: Touch 7s -> DURATION: Season. Training Fridays from 1st March. Download the Bullsharks information pack here. NOTE: when registering please select XVs -> PLAYER -> SEASON. In 2019 Rugby Australia is introducing the Rugby Xplorer platform. All users will need to create an account. A step by step guide for sign up and sign on can be downloaded here. Once you have created your account search for Taylor Bridge UQ Juniors. Parents need to complete all registrations online via the below link BEFORE bringing in players to be sized up for your uniform on the ‘uniform / sign on’ days. Please bring in your proof of payment with you. Your child will not be allowed to train if you have not registered with the club. This is an RA, QRU, BJRU, insurance and player welfare requirement. All our registrations are on-line this year through Rugby Xplorer. with any questions on registering with UQ Junior Bullsharks or the UQ Junior Heavies or contact the club on 0431 254 482. All players register on line with the above link. This will make sure your child has a spot in their team/age group and is allocated. Registrations on site at the clubhouse will not be available. Players need to register online beforehand to make the process streamlined and to avoid delays. If you have an issue or require registration assistance then please contact the club. Uniforms – to collect, parents will need to attend the clubhouse on one of the ‘uniform’ days along with proof of payment (and identification if new to the club). Uniform day is 15th Feb at the clubhouse. In the interim please make sure players have shoes, mouthguard, headgear, etc so you are not running around at the last minute and ready to train / meet with team after the training kit has been distributed.